Pelican Publishing Company, 9781589809109, 32pp. Roberto, a poor young artist, aspires to success and recognition. He refuses to paint young village children playing or Old Stefano and his donkey and insists on creating picturesque scenes only. 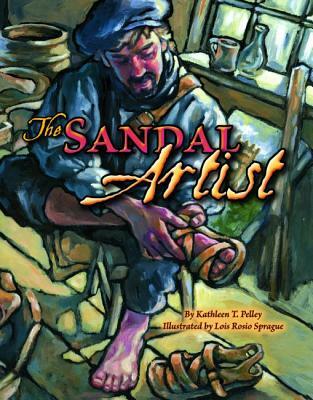 But when Roberto has his shoes mended, a cobbler lends him a pair of sandals and whispers: "There are some who say that if you wear another man's shoes, you will see the world with his eyes and feel with his heart." When Roberto suddenly starts to see the true beauty surrounding him, he realizes that the cobbler's wise words may ring true. The young artist soon views his surroundings in a different light. Complemented by illustrations reminiscent of works from the Renaissance period, this enchanting tale explores such topics as adopting a new perspective on life and appreciating the greatness in other people.